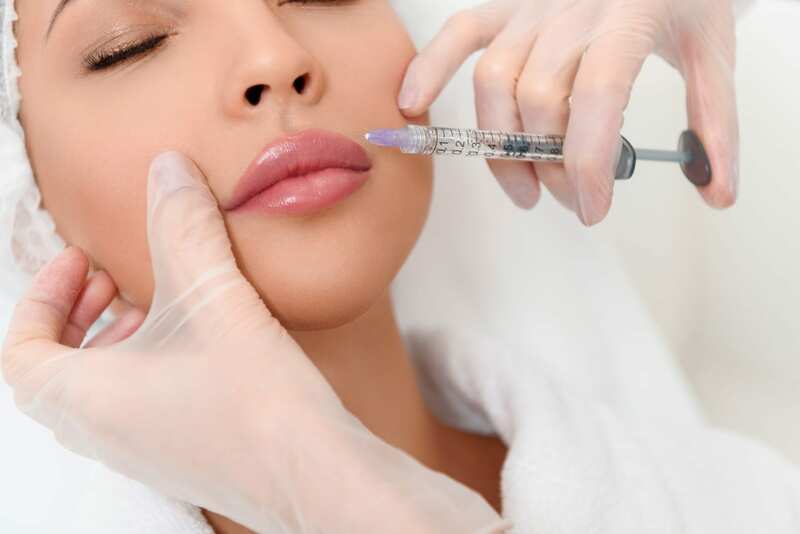 7th February 2019 | filed under Aesthetic Treatments, Botox. Wrinkles and lines are part of the ageing process, and they can also occur due to sun damage and muscle contraction from laughing or frowning. The appearance of these wrinkles can be improved with Botox. Botox has been around for a while, having first been used cosmetically in 1990, but many people still have questions about the procedure that they don’t always feel comfortable asking. We understand you’ll want to know as much as you can about Botox before undergoing the treatment, so we’ve compiled a list of answers to some of your most burning questions. Simply put, Botox is one of the trade names for Botulinum toxin, which is produced by bacteria called Clostridium botulinum. There are several types of Botulinum toxin, but type A is the most powerful one; it’s also the one used commercially in very small amounts to relax dynamic wrinkles. 2. What Does Botox Do? Botox blocks the neurotransmitter acetylcholine, a chemical which transmits electrical impulses that cause muscles to contract. The result is temporary muscle paralysis, which fades over time. Understandably, this is one of the most common questions we get. Botox is not only incredibly efficient in medicine and cosmetics, but it’s also safe. Side effects and allergic reactions to the injection are extremely rare, and higher doses of Botox are actually used to treat migraines and excessive sweating without issues arising. The toxin has been used for over twenty years to treat neurological and ophthalmological disorders, so you can be confident that Botox is safe for you. When side effects do occur, they’re often related to injection technique and product choice. Therefore, it’s important that you seek a trained professional who knows how to do the procedure correctly. Botox lasts for approximately 3 to 6 months, although longer lasting effects are sought for issues such as excessive sweating. You can receive another injection when you feel the treatment is starting to fade. Should you decide to discontinue treatment, your wrinkles or lines will gradually return to their original appearance before your Botox procedure. 5. How Can I Avoid the ‘Frozen’ Look? By having the right dose and placement of Botox, you can avoid the dreaded ‘frozen’ or ‘surprised’ appearance. This means not injecting too much of the product and knowing where to use it; too much on the horizontal lines in the forehead, for example, and it’s likely you won’t get a more natural look. Choosing the right clinic and practitioner is vital to ensuring that the procedure offers optimal results. 6. How Long Does Botox Take to Work? Although each case is different, you can usually expect Botox to take effect anywhere between 24 to 72 hours after the procedure. The treatment reaches maximum effect at around one to two weeks. 7. What Aftercare Should I Keep in Mind After Botox? While Botox is a non-invasive treatment with minimal downtime (just possible mild swelling and bruising for 48 hours), it’s still essential that you are extra careful for a few hours, after which you can return to your usual routine. While you can touch your face after getting a Botox injection, you should avoid rubbing or massaging the area for at least 4 hours. Additionally, you shouldn’t exercise strenuously for 24 hours after the procedure. Don’t wear hats that are too tight across the forehead if you’ve had an injection there and avoid drinking excessively to prevent bruising. We always want to make sure discomfort is minimal with our Botox treatments, so we apply an anaesthetic cream to numb the area. You may feel a mild stinging sensation during treatment, as well as a mild, transient headache, which some people report. 9. Am I Too Young to Start Using Botox? You may feel that you should wait a few years before starting to use Botox; however, you can begin this treatment when you’re still in your 20s. Lines and wrinkles may develop whenever you smile or frown, so many people seek to prevent them before they begin to ‘stick around’. Others choose Botox only when those lines are visible at rest. The most treated areas are the frown lines between the brow, the forehead and crow’s feet; however, we can also treat the top lip and neck. Talk to us if you wish to learn more about our Botox in Belfast, Botox in Guernsey or Botox in Jersey. Our friendly team of highly skilled professionals are always on hand to answer any questions you may have about this or any other of our cosmetic treatments, and you can be confident that we’ll give you the results you’re looking for.